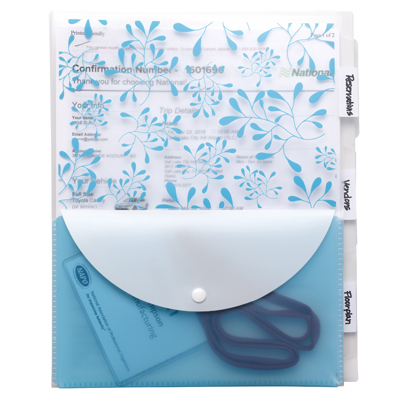 Travel Organizers help you organize trips, trade shows and other events outside the office. 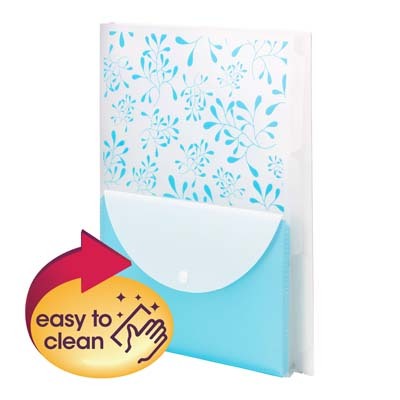 Features a pocket with snap closure for receipts, claim tickets and other small incidentals. Three tabs for easy access to different parts of the trip or event, such as airfare, rental car and hotel, daily agenda, vendor booth map and meeting schedule. 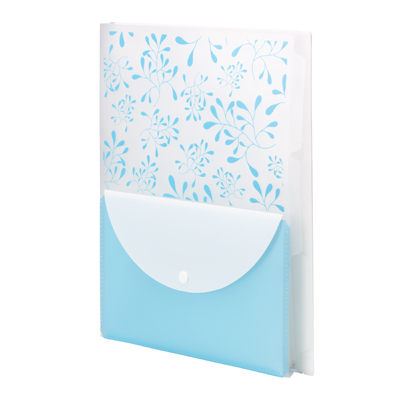 Fashion pattern provides both a fun and professional appearance while also providing privacy for enclosed documents. 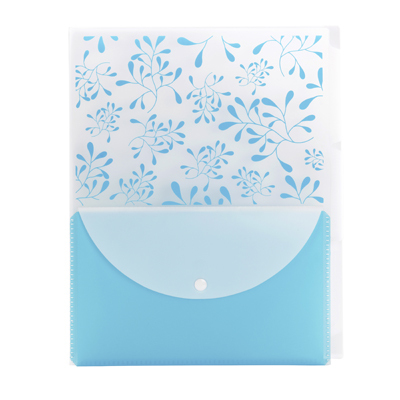 Sleek and thin to fit easily inside a laptop or carry on bag. Durable poly material is tear and water resistant.